I wish to seek the help of this community in assisting me with identifying a spider I found in the basement this evening. I have slight arachnophobia and want to know whether this spider can potentially cause any harm to the children in the house. I apologize for the poor quality of the photos. I took them while rushing to squash it before it escaped. The spider was brown, with some marking on the back. It’s roughly the size of a quarter and has long legs. We live in a heavily wooded area in Cook County, Illinois. 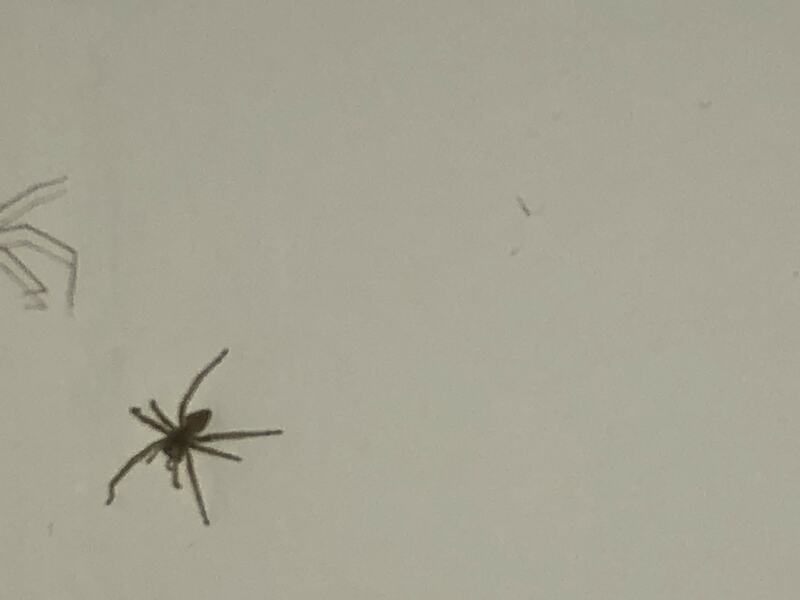 Thank you for taking the time to help me with identifying the spider, and I apologize again for the poor pictures quality.